Wow! 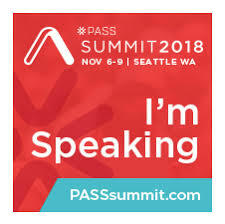 I will be speaking at PASS Summit 2018 in Seattle, WA from November 6th – 9th. This will be my first time speaking at a very large conference. I’m humbled, anxious, excited, and nervous. You can see the session details here. 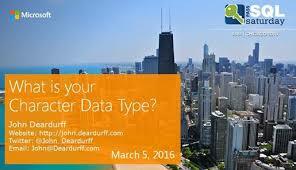 Don’t forget to register and use the discount code SSDISJKCM to save $150 on registration. 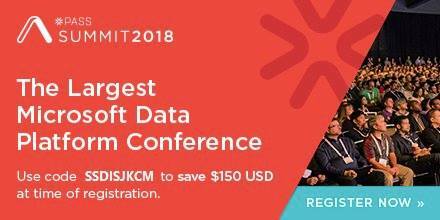 Be the first to comment on "Speaking at PASS Summit 2018"